The 63rd session of the United Nations Commission on the Status of Women officially opened here yesterday with strong calls to ensure women are recognised as equal partners in all spheres of life. 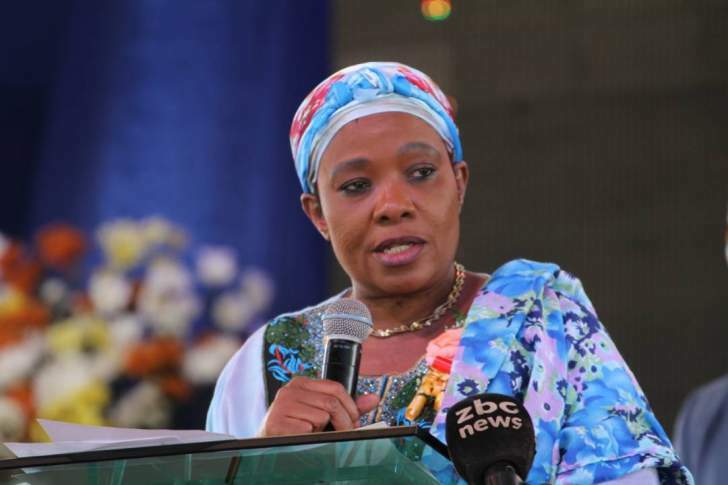 First Lady Auxillia Mnangagwa is leading a high-powered delegation to the meeting comprising Senate President Mabel Chinomona and Ministers of State Mary Mliswa (Mashonaland West), Monica Mavhunga (Mashonaland Central), Apolonia Munzverengi (Mashonaland East) and Ambassador Frederick Shava. Officially opening the session, United Nations Secretary-General Antonio Guterres - who first conveyed his condolences to the families of the people who died in the Ethiopian Airlines disaster on Sunday - said women were a solution to many problems facing the world. "When we exclude women, everyone pays the price and when we include them, everyone wins," he said. "Women must be engaged as equal partners in all aspects of life. When women are at the table, the chance of sustainable peace increases and when they have equal opportunities in the labour force, economics can unlock trillions. We have a fight to win and I assure you that I will not rest until it is won," he said. Mr Guterres said women faced numerous challenges like gender-based violence, female genital mutilation and sexual harassment at the workplace, among other issues. Commission on the status of women chairperson Ms Geraldine Byrne said governments the world over must adopt comprehensive social protection measures for women. United Nations president for the 73rd General Assembly Ms Maria Fernanda Espinosa said: "Gender equality and the rights of women must be upheld and the world must also ensure that they are accorded adequate social protection, access to public services and infrastructure. "Annually more than three million girls are at risk of genital mutilation and those in the world of work are still under paid." The meeting is running from March 11 to 22.